Ear piercing is an ancient form of body modification that is practiced today with the assistance of a small gun, making the process more sterile. 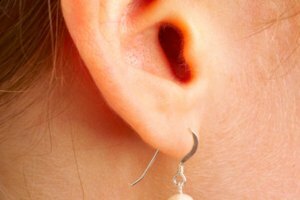 The ear can be pierced in several places, including the lobe, cartilage and tragus. The hole left behind will stay open as long as an earring remains inside. Closing this hole because it is stretched out or because the piercing is infected is a pretty simple task that can be easily accomplished. Remove any earrings that are currently in a pierced hole. Leave the earrings out of your ears indefinitely. This means never placing another earring through any hole. Eventually, the holes will develop scar tissue that will permanently close the hole for good. 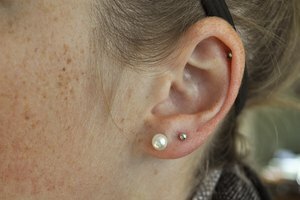 Examine the holes after two to three weeks of wearing no earrings. For some, the scar tissue development will close the holes completely by this point. If the hole is not completely closed, wait an additional week or two and check again. For some people with piercing holes that are 10 years or older, the hole will never close completely. Scum Doctor: How to Close Ear Piercing Holes?